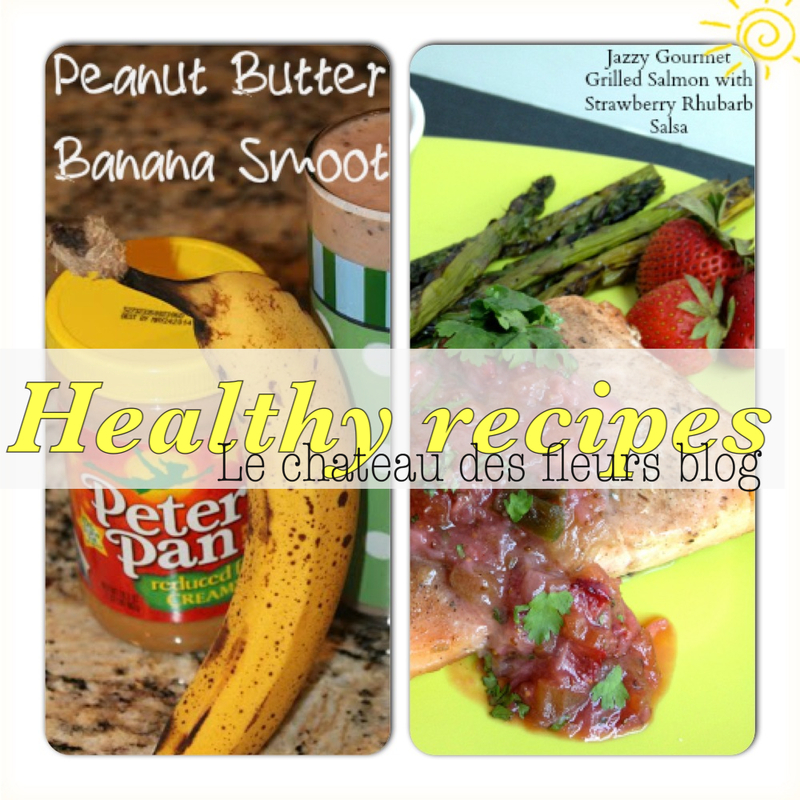 "Isabelle Thornton" Le Chateau des Fleurs: Healthy recipes and Monday link up! Healthy recipes and Monday link up! Last week we had 2 great healthy recipes. I am trying to eat less bread and pasta right now. So I thought they would be good recipes to remember. 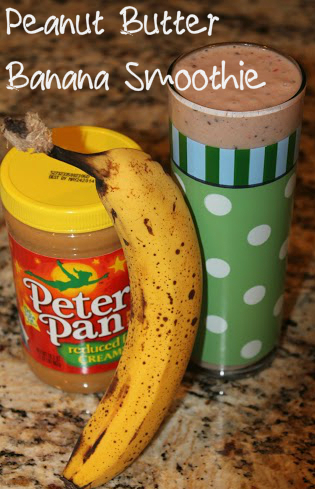 A handful of everything shared this Peanut butter and banana smoothie. I like it. It's simple. You get the proteins and nutrients. A keeper! 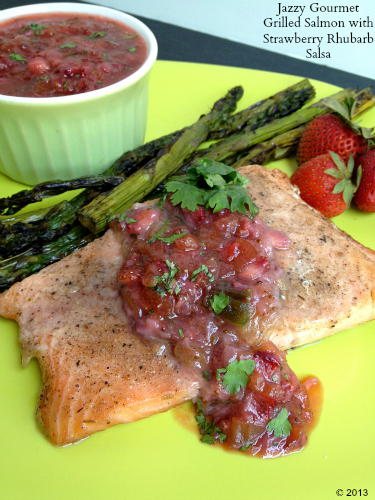 Jazzy gourmet blog is sharing this grilled salmon with strawberry rhubarb salsa. Super good idea and why not? Strawberry and salmon...MUST try! Thanks for featuring my Grilled Salmon with Strawberry Rhubarb Salsa Isabelle! I am so tickled. Have a great week! Delicious recipes! Thanks for sharing!